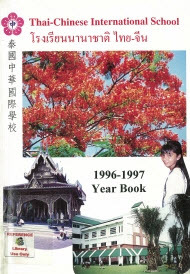 Thai-Chinese International School was the brainchild of Mr. Pornchai Uvimolchai and Mr. Suthum Changkajonsakdi, and opened on September 1st, 1995 on land donated by the latter in Bangplee, Samutprakarn. After opening with 100 students TCIS quickly expanded to 187 students and 35 teachers by year end. 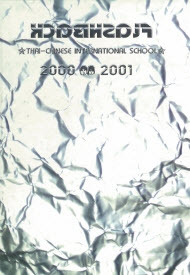 Grade ten was inaugurated in the new second building with a ribbon cutting ceremony on July 10th, 1998 by Dr. Chiao Jen Ho, Minister of Overseas Chinese Affairs, R.O.C. in preparation for expanding through grade 12. 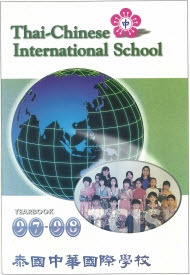 By 1999, there were 390 students and 50 teaching staff from many countries. 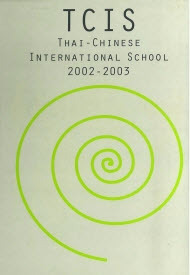 Quote from Mr. Pornchai Uvimolchai, chairman of the First TCIS Foundation Board, in the first TCIS yearbook, 1995-1996. 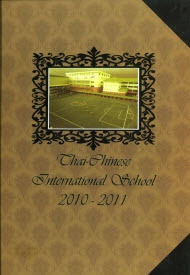 The Thai-Chinese International School was established by the Foundation of Education for Thai-Chinese International School. 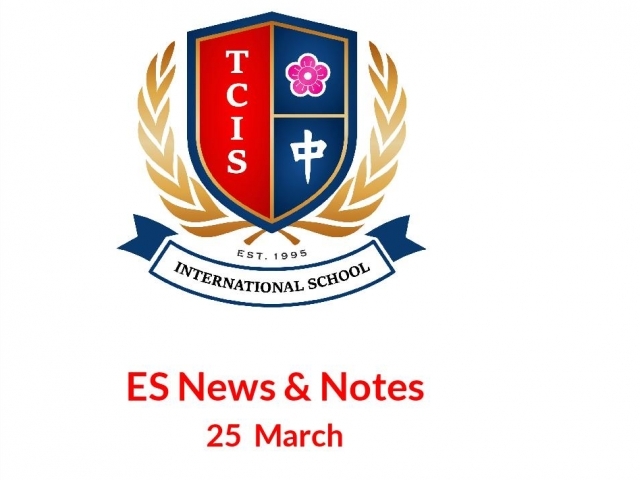 Both the Thai-Taiwanese Business and Industry Enterprises Association and the Taiwan Association of Thailand have responded to the need to have such a school in Bangkok. Two years were spent on planning and preparing the school. 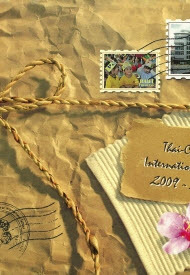 The major purpose of the school is to educate children whose parents are investors in Thailand. 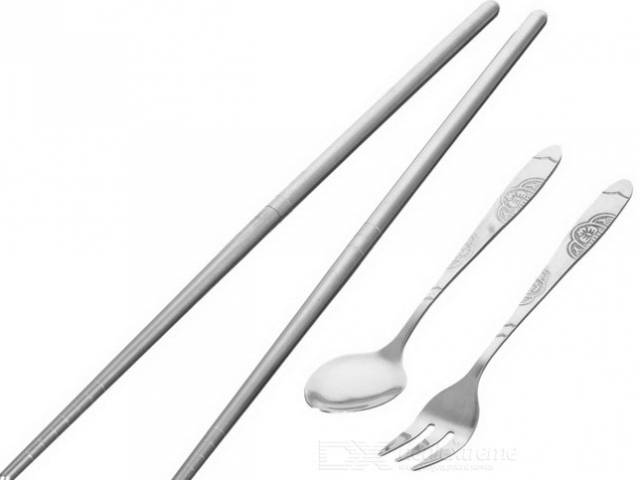 The other purpose is to promote Chinese culture overseas. 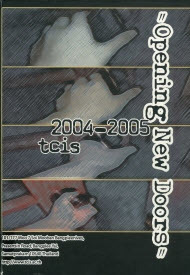 From the very beginning, TCIS was well organized and well thought out. Academic departments were established, a large carpeted library and a Science lab room were set up and field trips were planned and attended. 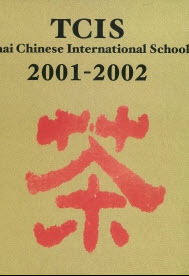 Community Service for the slum children was organized from the onset and collaboration with other schools began in 1998 with an essay writing competition. 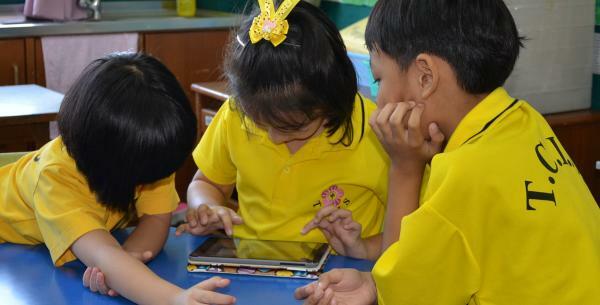 Students traveled by barge on the Chaopraya River, visited the Dusit Zoo and ruins in Ayudhya, participated in creative hands-on experiments, had letters to the Bangkok Post published, and enjoyed learning with teachers from around the world. Music, Art, Sports were all part of the learning experience, as was celebration of Thai and Chinese culture. 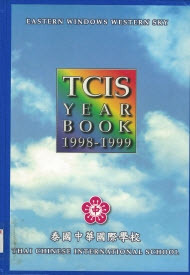 Internet arrived at TCIS in 1996 with a dial-up modem connection, a web page and even email! Stanford 9 standardized testing was adopted and the WASC accreditation process was begun. 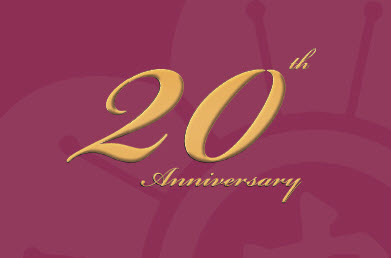 In 98-99 opportunities were created for parents and faculty to meet through Ice-cream socials & sports activities. 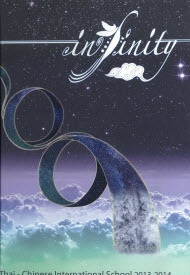 By the fall of 2000 the TCIS family had grown to 420 students, including the first-ever (2001) graduating senior class of 6 students! WASC Accreditation candidacy was expanded to K-12, and in June 2002 we received full K-12 WASC Accreditation. 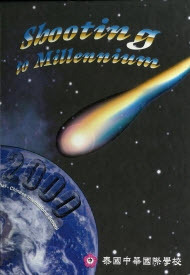 During 2003-2004 the late Dr. Tom Dellario brought in the first Advanced Placement (AP) courses, in addition to an English Intensive Program which began in August 2002. The first-ever annual book fair was held, homerooms adopted class names and made class banners, a school wide sports day was organized and the Student Council raised 55,000 Baht for the earthquake victims in India with help from the newly formed Lower School Junior Council. 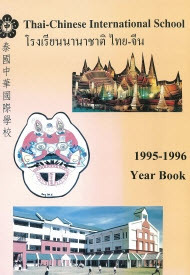 The Student Council also hosted the 10th Annual International School Council Convention in Kanchanaburi in 2003. In Sports during this second chapter of TCIS’ history, the first Basketball tournament was held at TCIS, in 2004-2005, the U17 boys volleyball team were BISAC finalists, the U17 boys basketball team were BISAC champions! 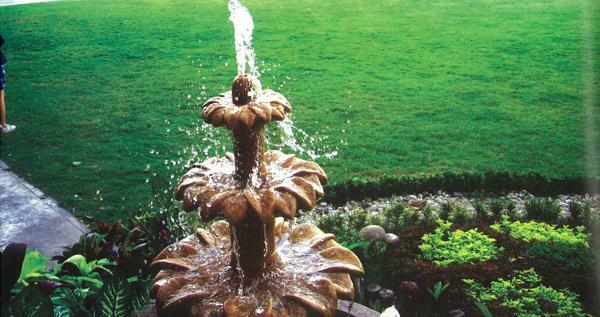 The first ever Girls soccer team was also formed, while the swim team was organized at the Thana City pools. Groundbreaking for a new Recreation Center was held on February 10th, 2003 and it was completed 18 months later with a new library, gymnasium, indoor swimming pool and canteen. 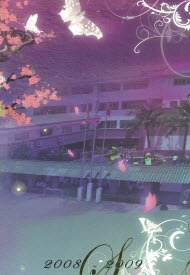 A New Spirit House was dedicated on November 3rd, 2004 at the front gate of the school. 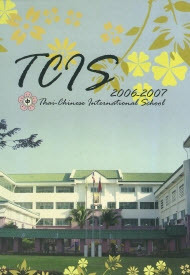 During this period of steady growth, the student body expanded to 460 in 2002, exploded to 662 in 2003-2004, and then TCIS 755 students were accepted by 2004. As 811 students and staff gathered for reopening in the fall of 2005, we were greeted by a beautiful, freshly sodded healthy green grass field with a relocated green-roofed covered walkway running the entire length of the property. The outdoor Ya-Ya Cafe, named to honor the memory of Mr. Eric Stephens and opened as a class project by Business students now had new tables and evolved into a coffee/smoothie shop with full lunch menu! A student run internal TV station called WTV began broadcasting daily news and features over the school network with support of Tech minded teachers and the exceptional IT Department. A new team of curriculum specialists began a long term project of updating and documenting the full TCIS curriculum with the help of all teachers using Atlas Rubicon online. In 2009 a new Administration and Middle School building opened on newly acquired property along the road which was previously rented for school parking. 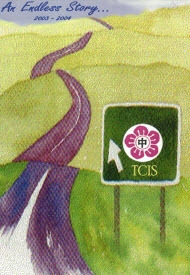 The TCIS English Intensive Program was expanded to four teachers to serve the needs of our many new Taiwanese students. From 2005-2009 TCIS Timberwolves basketball teams were the champions of BISAC five times and runners up four times! In other sports,TCIS Girls badminton were runners up in 2006-2007 and champions in the 2007-2008 season. 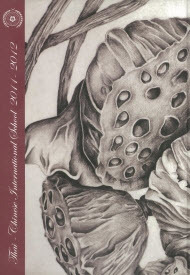 Twenty-one Seniors graduated from High School in 2005, with 15 graduates in 2006 and in 2007, 26 seniors completed their TCIS education. 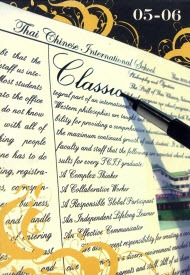 The TCIS student body increased to a peak of 871 in 2007, then declined slightly along with the world economy contraction, to 757 students by 2009. 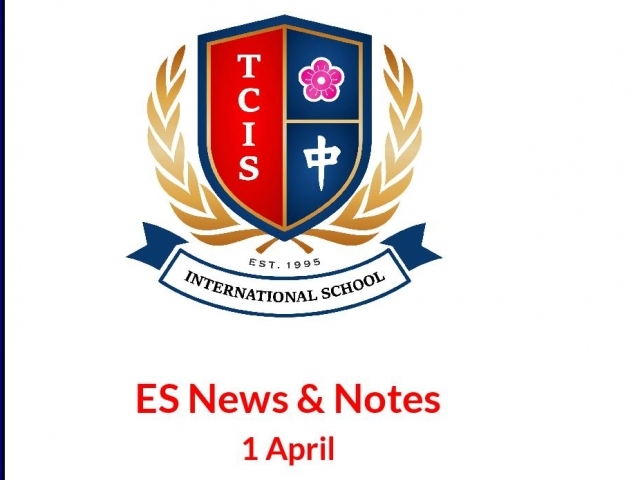 In 2010 the TCIS campus took a huge stride forward with the installation of a full Astro Turf sports field and running track encompassing eighty percent of our grounds, with the other twenty percent being new basketball and four-square courts. The quad campus design was completed by a new parking structure with sports facilities on the fourth floor. The quad and new field was the perfect backdrop for the official Middle School building opening ceremony and the 15th anniversary celebrations. In the classrooms another leap forward was the High School 1:1 Apple MacBook computer program; the first in Bangkok! In 2011 HS students were treated to a new Mac Computer lab, multimedia classroom, new lockers, and a new senior center. Teacher professional development focused on Data Day, which has become an annual event. Also in Tech, the robotics team competed against 14 international teams in Japan and came away with a very respectable fourth place trophy. School improvements continued with salt water filtration for the swimming pool, new canopies for all school walkways, a new dance room and weight room and large cooling water filter units for keeping everyone healthy while reducing water bottle consumption. The school was provided with two new 42 seat buses for transporting teachers and students while advertising our great school as rolling billboards. In 2013 the Lower School was refreshed with a new AstroTurf playground and beautiful white canopy sun shade. Less visible projects such as ceilings and new wiring were also undertaken. The High School Science lab was also refurbished in 2013. Security was the highlight of a new guard office, turnstiles and networked finger scanners at the new single school entrance from the parking garage. New commercial networked Ricoh print stations were installed throughout the school to reduce printing waste and expense. More recent major improvements have included the expansion of the Apple MacBook 1:1 computer program to all students from Grade 5 and up and becoming a Google School, thereby reducing paper use and printing volume. 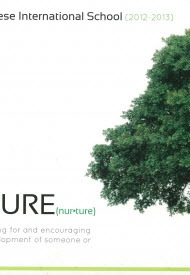 Curriculum revision has continued to be a focus and a more rigorous approach to placement and course offerings has been introduced as the “Passport to Success” under Dr. Steven Ballowe’s guidance. TCIS now offers academic challenges to students in grades K-12 that are equal to top international standards recognized around the world. 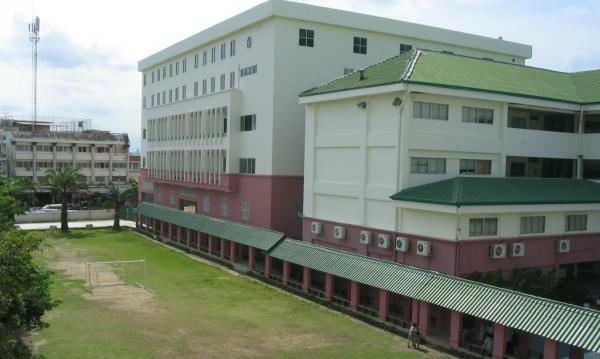 TCIS is proud to be “The Best international School in Bangkok”, when you compare academics and tuition.